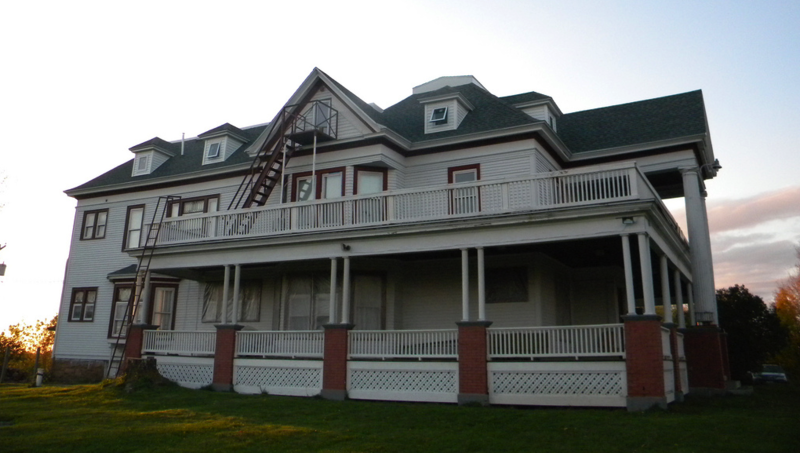 Lambda Phi Epsilon’s house “The Mansion on the Hill Inc.” is one of the few remaining Sisson houses. Originally a summer home, this mansion has 15 livable rooms that are spacious enough for some of them to be doubled comfortably. The house has a full kitchen equipped with a three bay sink, automated sanitizer, alternate normal household sink, an industrial stove with six propane burners, a full griddle/flat top, and two ovens. Along with the livable rooms, there are also many common rooms where our brothers congregate. On the first floor we have two rooms that were just refurbished to the original hardwood flooring. We have a large dining room that can fit all of the brothers for our house meals. We have three couches and a 46” Toshiba flat screen TV within our TV room. The first of the livable rooms is on the first floor, the room’s nickname is the Milton. bathroom. There is also one common use bathroom with shower, one toilet, and one normal sink; it is located at the top of the back stairwell. Other than the Chancellors Suite there are five other livable rooms on the second floor. Those rooms have the nicknames The Frying Pan, The Salesman’s suite, The Chapel, The Wall, and Death’s Door. The third floor has a larger bathroom containing two toilets, two standup showers, and a double sink. The Third floor also has eight livable rooms; these rooms are Dark Side, Last Call, The Airport, 4th Floor, The Tent, The Beehive, Swimming Pool, and The Come Inn. Also there is a full basement which is where we have our laundry room with two washers and two brand new dryers with a 6ft long folding station. Also in the basement we have a room dedicated to house tools so that they are sheltered from the weather conditions. The other larger equipment that is hard to bring in and out of the house we leave out in the garage that is nicknamed The Man-Den. The Man-Den is where brothers store their off road vehicles and motorcycles along with the extra tools and supplies for the house. The brothers at the Mansion have access to the Raquette River because of their good ties with the surrounding property owners. We actually built floating and attached docks that are taken in and out of the river with the seasons. Also along with the docks the house has canoes that brothers take out and paddle around on the river.